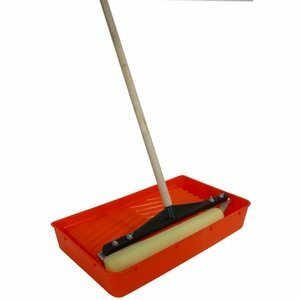 FLOOR COATING TOOLS | Pro Chem, Inc.
Industrial grade frame for holding roller. Roller pad to apply paint/coatings. Tray to hold paint/coating for loading onto roller pad. Used to apply TRED SAFE HD. Mixer to attach to drill. Fits in 1 gal paint can. Mixer to attach to drill. Fits in 5 gal pail.